With so many different communication media available and so many ways to communicate within and between virtual teams, it is very important to select the most appropriate tools for the situation. For virtual teams located in the same time zone, or where the separation between time zones is small, it is simple to use fully synchronous and, where possible very media rich tools such as video or telephone and semi synchronous tools such as desk top instant messaging. However, where the separation of time zones increases to the point of minimal to no working day overlap, the use of asynchronous tools becomes more appropriate. Asynchronous tools used in most businesses would principally be email, with other text based systems being sufficient from time to time. 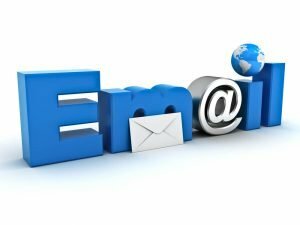 It is the use of email in virtual team communications I will consider in this post. For most of human history the principal form of communication between geographically and temporally separated people was the written word, taking the form of letters in the pre digital communication era and moving to the telegram, telex, telefax and email as technology has advanced. With the earlier forms the author would spend considerable time forming a coherent message and ensuring it was legible and to the point. With email it is more common for messages to be rushed, with little thought to the structure and coherence of the message. This haste to communicate often results in messages being hard to understand on receipt, ambiguous and sometimes simply unintelligible. Partially as a result of this rush to get a message out and partially resulting from the general overuse of the “copy to” functionality, email as a general tool has aquired a bit of a bad name in many quarters, there are “in box zero” movements in many offices where employees strive to maintain an empty mailbox, there are those who limit the use of email personally or corporately and there are even calls from various parts to ban email outright (Email killing productivity, says Cisco director, Australian financial review Thursday 10th April 2014). However, there is still a very real need to maintain the formal to semi formal level of direct communication offered by email, most particularly when the message needs to be carefully crafted to ensure as little as possible ambiguity when read. This low level of message ambiguity is particularly important when virtual team members are separated by large timezone differences and have little to no overlap of working days. It is, after all of little sense to ban email when the two corresponding parties are unable to have voice communications without one or both groups needing to work outside of their normal day. In these large temporal separation situations it is between very hard and impossible to clarify ambiguity in a message the same day, so a badly structured and imprecise message can lead to substantial rework, and the clarity of these messages can often only be achieved through a well constructed note conveyed by email. Further to the large timezone separation value of email, cognitive science has also shown us that, as humans, we are only really able to concentrate on one thing at a time, so taking notes while on a telephone call, often in a busy and noisy office environment, leads to highly abridged notes that may well not capture the overall intent of the conversation, leading to confusion and aborted work. Again, a well crafted email or note can be more effective at achieving the clarity needed, followed by a phone call to discuss specific details. However, all of the above needs to be considered against the background of the need to build and maintain a trusting working environment between parties. Building trust is better achieved through face to face, video and telephone conversations than it is email, so prefacing an email with a phone call, having a regular video or face to face meeting to maintain communications is a critical way to maintain trust and support the more transactional functions of email. On the negative side, I would strongly advocate for the minimisation of distribution of email beyond those who need to be part of the discussion. The overuse of the copy functions of CC and BCC lead to the dilution of the message. Over copying an result in overloading of recipients inboxes, a general frustration among users who need to sort the important from the banal in their inboxes, where critical messages can easily be overlooked when adrift in a sea of unimportant messages. Personally I strongly advocate users take the time to respond to many email messages where appropriate, a simple “Thanks”, “Got it” or even an emoticon smiley face 🙂 in reply to a message tells the sender you have received the message and appreciate their input, it takes a couple of seconds, is easy to read and file and gives a level of common courtesy that is easy to loose in the impersonal world of virtual teams. Selecting and using the appropriate communications tools for a virtual team environment requires some thought in the planning process, use of email in virtual team communications is generally, though not always appropriate. To discuss how Ulfire can help with establishing and supporting your virtual teams please contact us. If you want to keep up to date with future articles, please enter your details below to subscribe to our regular newsletter.